A rainbow baby is a baby born after the loss of a child. You may not notice it at first glance, however, if you look closely you will notice the rainbows that showed up during this session. I was completely blown away when I realized that not only did this rainbow show up during the maternity pictures but then again during her daughters baby pictures! I have photographed plenty of sunflare in my day but NEVER a rainbow flare like this! I truly believe her baby was there with us on this day. AMAZING! Today is the last day to take advantage of our Black Friday / Small Business Saturday / Cyber Monday Sale! Who’s ready for some Black Friday DEALS?! Sale begins on 11/22 and ends at midnight on 11/26 - no exceptions! To qualify for the Black Friday Sale, your non-refundable retainer must be paid by 11/28. Pricing and session details can be found via the Pricing tab on our website - Please make sure to review all of the information. If you have any questions at all, don’t hesitate to let me know! Sale starts on Black Friday and ends at midnight on Cyber Monday! Black Friday specials apply to new bookings only - session must take place in 2019. We will post a link for booking on Friday, November 23rd! Who looks this amazing when they are pregnant?? I mean, really. My clients are insanely gorgeous, y’all. I get a lot of mama’s that just want pictures of their babies — you need to get in front of the camera too! One day, your babies will be grown and I promise you that they would love to see photos of you like this. Maternity sessions typically take place around 27-35 weeks in your pregnancy - Any time that you feel comfortable works perfectly! Maternity pictures can be done in our Lexington Kentucky photography studio or outdoors at a park, field, etc. We do have a small selection of maternity pieces that you are welcome to use - We are working on adding more so that we have a bigger wardrobe selection in the future :) We will also send you some recommendations on gowns in all price ranges that will photograph beautifully! I am a bit late in announcing these and I didn’t even get a chance to shoot new promo shots for them…but I have opened up some dates for booking 2018 Christmas Mini Sessions in Lexington KY -and- Dayton OH! This year I am offering our “Holiday Minis in the Pines” in Lexington KY and Dayton OH - I will also be offering in-studio, our ever popular, Christmas Milk & Cookies Minis. I can’t wait! These sessions will take place among the pine trees! I will have some themed props for use during your session. These sessions are open to everyone, including immediate families! Lexington KY fall mini sessions are here! I've had a lot of questions asking whether I would be doing mini sessions this fall - I wasn't sure if I could work it into the schedule but they're here! Ready to book your fall mini session? Please submit the form below - Please be aware that time slots are first come, first serve! Going forward, I will be taking sessions on a part-time basis only. This is the last year having my youngest baby home and I've come to the conclusion that I really need to be a little more "mama" and a little less "boss lady". This is something that has been weighing heavy on my heart since summer began. I didn't know what to expect with moving to Lexington KY - but you all (should I be saying y'all now???) have kept me extremely busy, which is SUCH an amazing blessing!! However, I just really need to spend more time with my kids & husband...not so much behind a computer screen. So how will this change things? Well, weekend availability for sessions is going to be very, very small and limited to only 1-2 Sunday's per month (no Saturday sessions ever) - nearly all sessions going forward will take place on weekday mornings/evenings. Well, hello there! It has been a long while! May was an insanely busy month - so much so that there was no time to post anything. Sorry to leave this poor blog, facebook, & instagram hanging like that! I shot this BEAUTIFUL mama to be right before we left for vacation. I cannot get over this light! I feel like I really do not shoot enough maternity sessions...this makes me want to create more time for them! 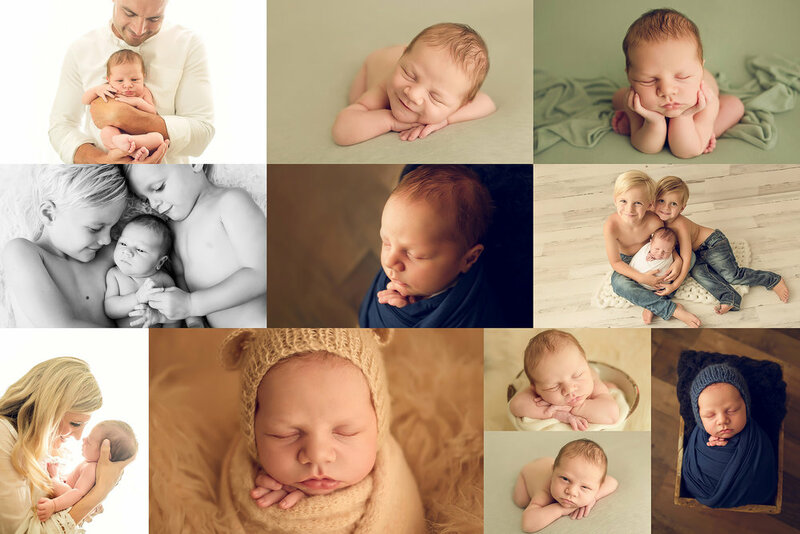 Book a newborn session, receive a free mini maternity session! 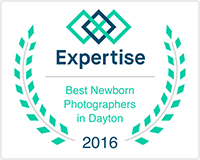 Newborn sessions take place in our Lexington KY in-home photography studio between 7-21 days old. We have absolutely everything needed for the session, including hats, headbands, wraps, buckets, bowls, baskets, props, etc. 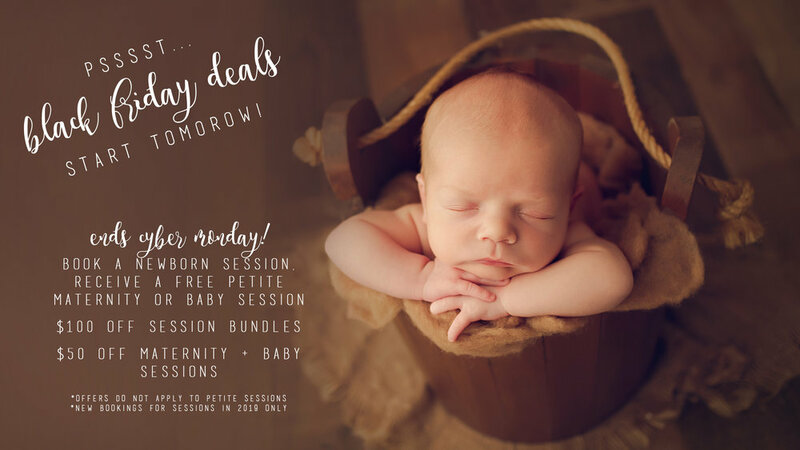 Since the actual arrival of your baby is usually unpredictable, we hold space on the calendar for around the time of your due date - Then once your baby is here, we will set a date/time for the session to take place. To book this special, a completed policy agreement form and payment of the non-refundable session fee retainer are required at booking. We only accept a limited number of sessions per month, so availability will vary. We love photographing baby sessions outdoors! We have a wardrobe full of outfits for boys & girls, headbands, and hats/bonnets. You don't even have to worry about shopping for an outfit - We can take care of that for you! 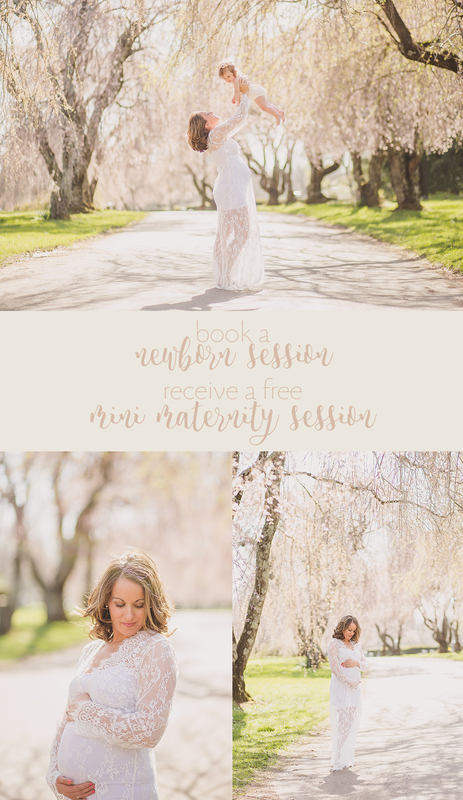 We are now scheduling outdoor maternity sessions in the Lexington KY area! Those green trees & spring flowers will be here before we know it, so now is the time to get on our calendar! As always, mini session times are first come, first serve. Completed policy agreement form and payment of the non-refundable $100 retainer (which is applied toward the mini session fee) are required at booking in order to reserve your session time. The remaining balance ($75) is due at/before the session takes place. 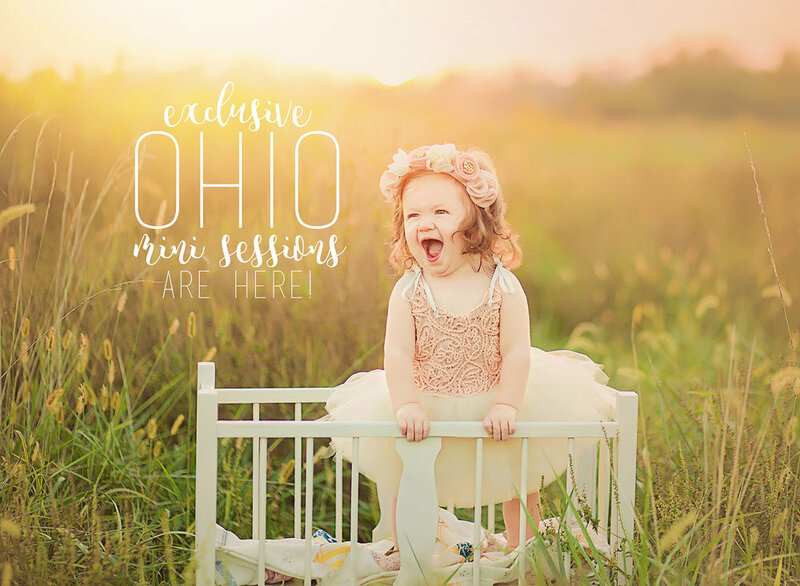 Mini sessions are open to babies, children, maternity, and families! 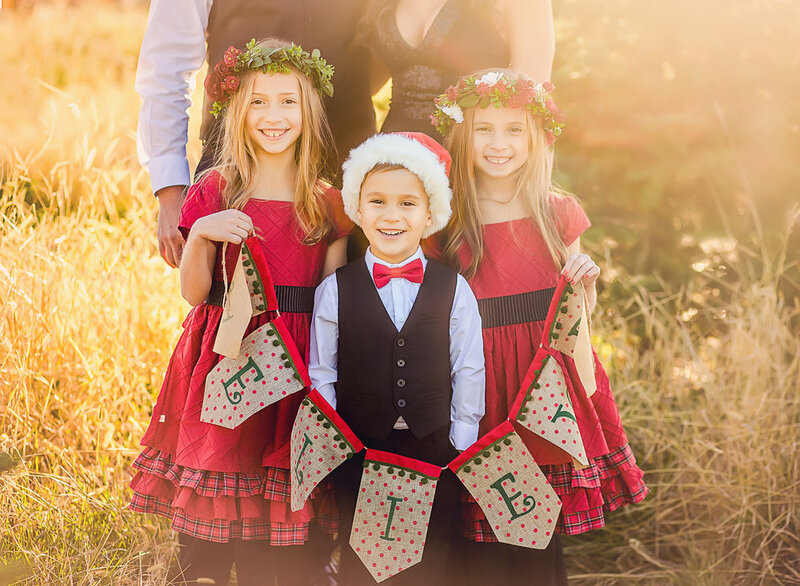 This is the only time of year that I photograph family sessions :) I will bring along a few props (quilt/blanket, rustic chair, vintage baby bed, etc.) - I do have wardrobe options for babies (some toddler & girls stuff too) and maternity. Just ask if you'd like to see whats available! PLEASE NOTE: In order to ensure we have a beautiful spot for photos, the location will be determined the day prior (which is the day I will get back to Ohio) so that I can location scout. That said, the location will be somewhere in the Dayton area :) If it rains, we will reschedule for the following day (Sunday) and if that day is still yucky, we will postpone to the following weekend. Hopefully mother nature cooperates and that won't be an issue! Lexington KY Newborn Photography STUDIO TOUR! Contact us today to get on the books!